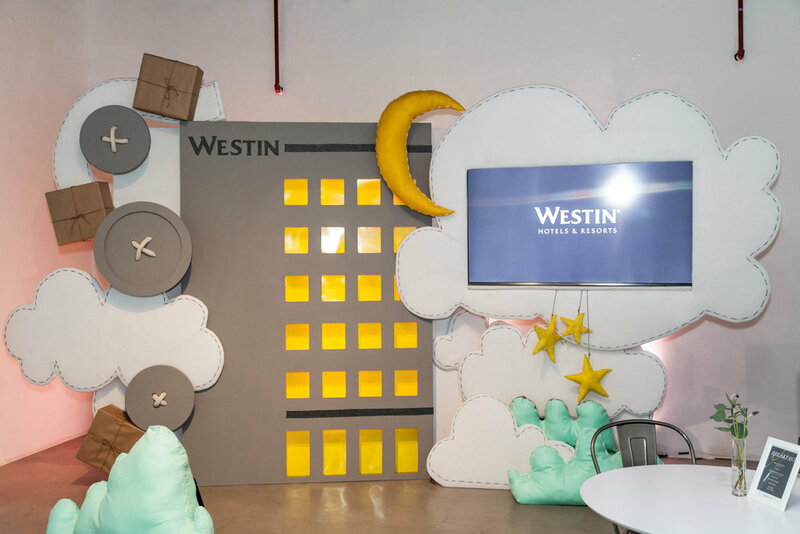 For the launch of Westin’s innovative campaign, Thread Forward, The Gathery created and developed a media launch event that educated visitors on the latest initiative through interactive gallery spaces. Designed in three distinct environments, subtly styled in the brand’s recognizable look, the experience emphasized Westin’s commitment to well-being. 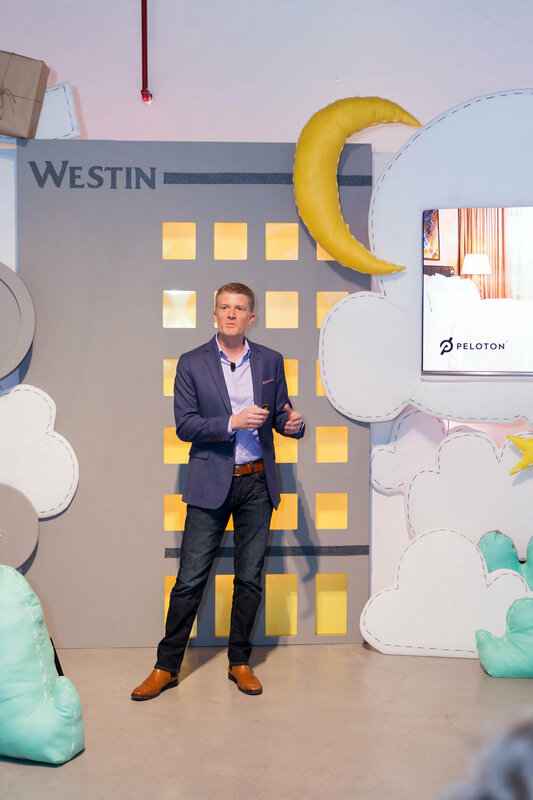 A large exterior marquee announced the event welcoming guests into a familiar Westin lobby and through a hotel-inspired check-in desk. The following room, referencing the initiative’s stop-motion television spot, enveloped guests in clouds through elaborate video-mapping where a hand-stitched 3D timeline seemingly floated on air. 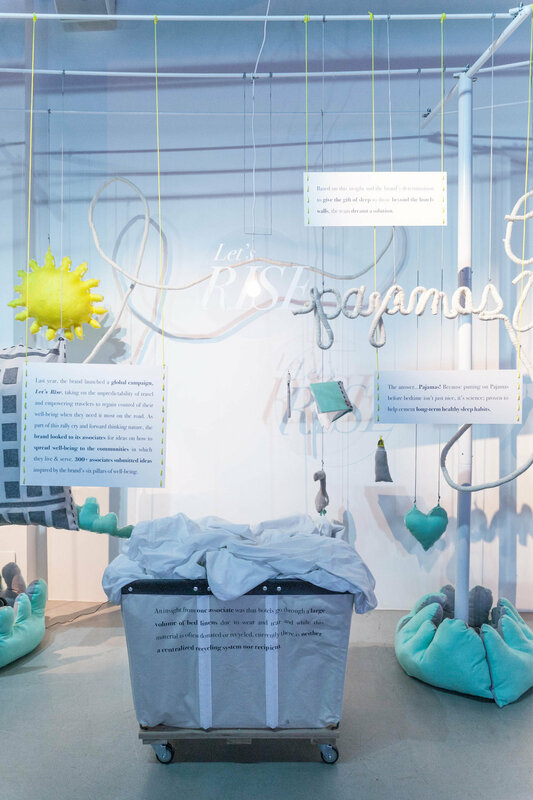 Guests were amusingly served breakfast-for-dinner - a reminder to “rise well” – in a café area anchored by a custom stage and video wall where the brand’s newest campaign was unveiled.